Are you planning a Halal travel trip to France? Are you currently searching for some of the top Muslim friendly tourist attractions in Paris for you to visit? This article will share with you the information that you need to know for your holiday in the City of Love! Top Muslim friendly tourist attractions in Paris that you must visit! There are numerous famous places in this capital city of France, but the following top Muslim friendly tourist attractions in Paris are some of the important landmarks that we think you should not miss visiting – your trip to France won’t be complete if you miss them! 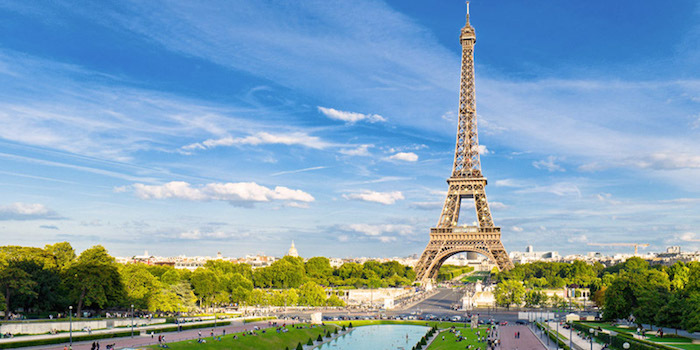 Eiffel Tower is one of the Muslim friendly top tourist attractions in Paris that you should not miss visiting. Located in Champ de Mars, it is the symbol of France that makes a perfect Instagram picture! Here, you can choose either to wander the area and look at its wonderful architecture or you can also choose to get into the tower and get a bird’s eye view of Paris from the top. 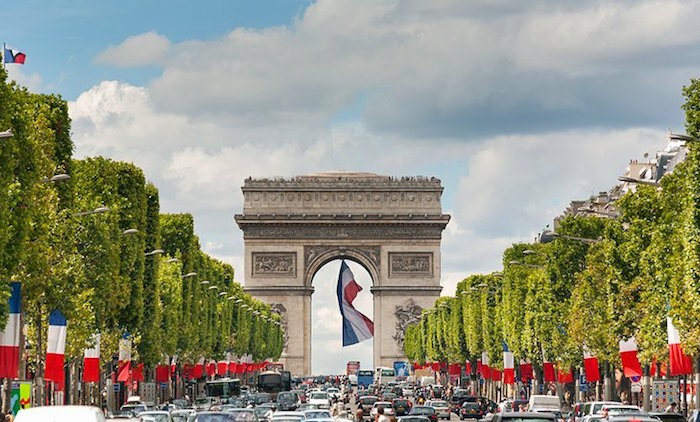 Besides the famous Eiffel Tower, the avenue of Champs-Élysées is also one of the prominent, Muslim friendly top tourist attractions in Paris that should be visited by Muslim travellers. The avenue stretches for as long as 2 kilometer and thanks to its amazing view, it has been considered as the most beautiful avenue in the world. 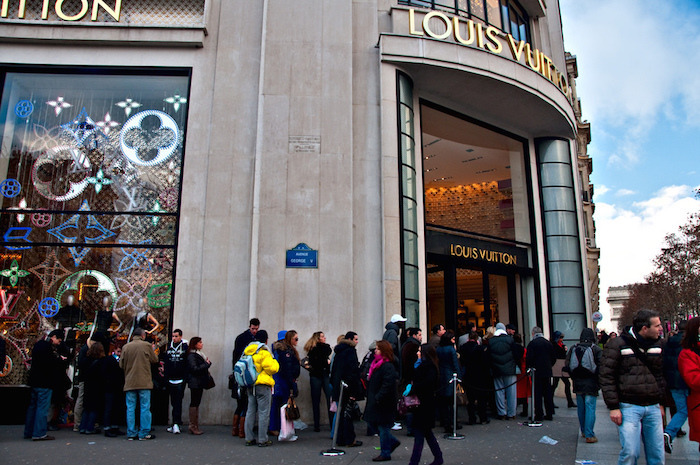 You can stroll this avenue during the day or at night to shop at one of the luxury boutiques and flagship shops or visit one of the famous places in Paris such as Place de la Concorde and the Arc de Triomphe. 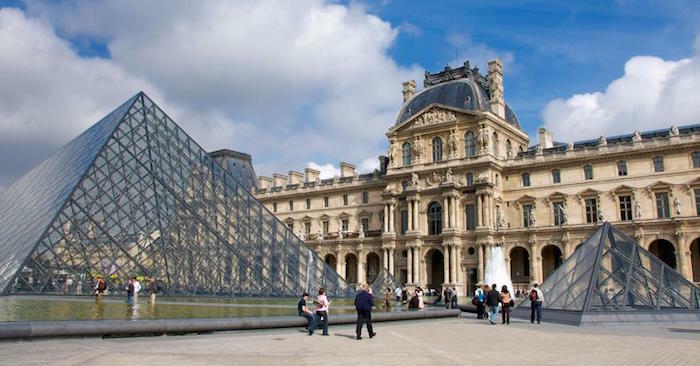 If you love to attend art galleries and world-class exhibitions, then you should also visit the Louvre Museum during your Halal holiday in Paris, France. Do you know that the Louvre Museum is one of the most visited museums in the world? This is the best place in Paris to look at artefacts, arts, sculptures, and painting – Mona Lisa painting is one of them! Going to Paris with your family? 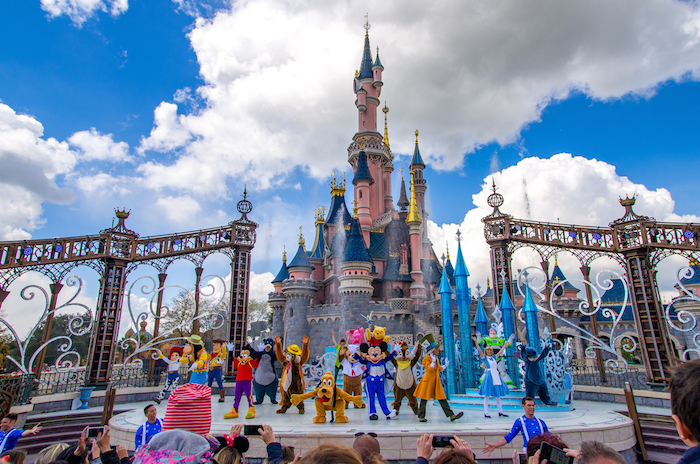 Then, you should visit Disneyland Paris. It is Europe’s most visited theme park that is located about 32 km away from Paris city centre. You can choose either to enter this theme park for one day or stay at one of the Halal hotels in Paris near Disneyland and buy a multiple-day ticket to fully enjoy this park. Grab special deals here! 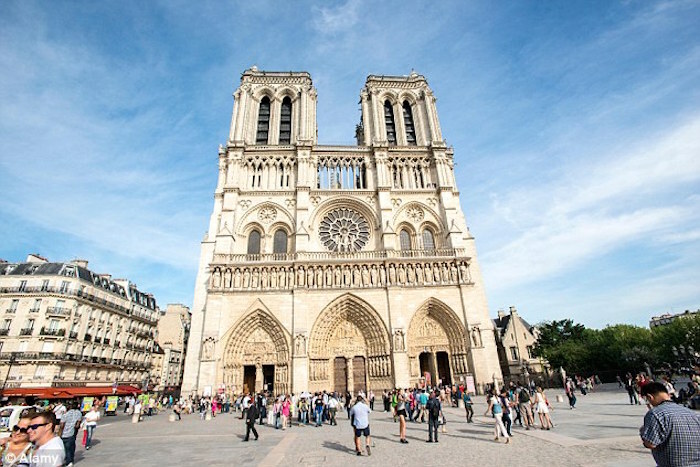 Notre Dame de Paris is also one of the top Muslim friendly tourist attractions in Paris you should not miss visiting. This historical monument boasts stunning Gothic architecture – perfect for those who love to look or take pictures of stunning architectural buildings. You don’t have to pay to be in the base area of Notre Dame but if you would like to enter the tower, you will have to purchase the ticket. Should you enter? Let’s just say the ticket price is worth it because the view from the top is simply gorgeous! 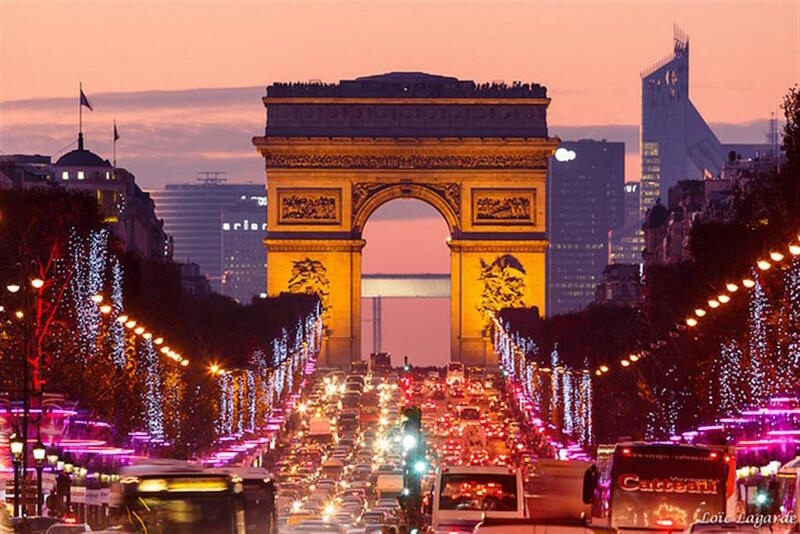 Arc de Triomphe is the biggest arch in the world that you should visit while having a halal vacation in Paris France. This stunning building overlooks the famous avenue of Champs-Elysées. Here, you can marvel at its wonderful architecture while looking at the names of all those French generals who had died during the war. This historical arch is built in honour of those who fought in the Napoleonic Wars. Besides being famous for its quaint cafes, amazing architecture, and art museums, Paris is also famous for its beautiful gardens. 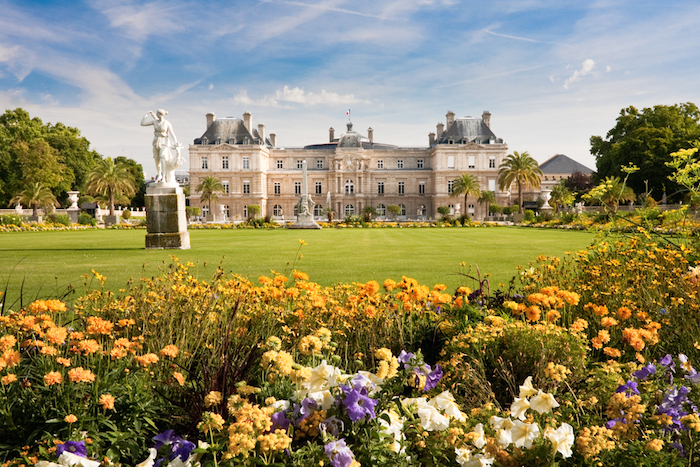 When in France, you should not miss going to Jardin du Luxembourg. You can stroll around at this well-maintained garden, take lots of photos here, and have a relaxing and fun picnic with your family on a beautiful day during spring or summer. 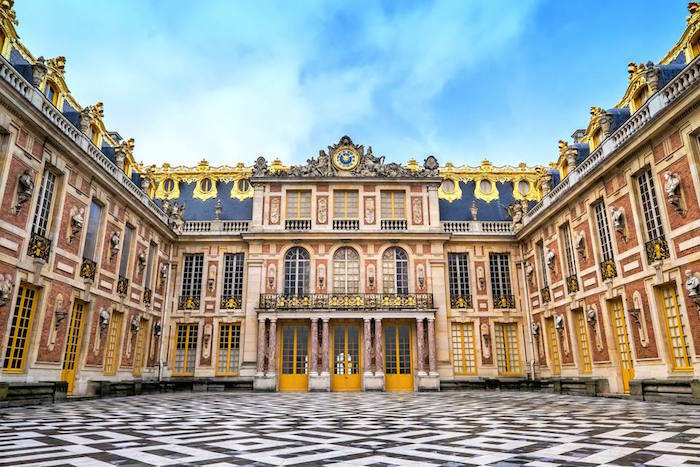 Besides the beautiful garden of Jardin du Luxembourg, Muslim travellers should also visit this place, the Palace of Versailles. It is one of the Muslim friendly tourist attractions in Paris and most opulent castles in the world. Since it is located about 22 km away from Paris city centre, you should allocate one full day for your trip to this grand palace. There are so many things you can do while in Paris. For a complete Muslim travel guide to Paris, read this article. Also, if you’d like to find out where to get Halal food in Paris, click here!